A few days ago, the developers of the physics-based battle game Beast Battle Simulator introduced a new beast: Sharks. These sharks don't need any water -- they skitter across the land at a slow pace, and launch themselves at their opponents. 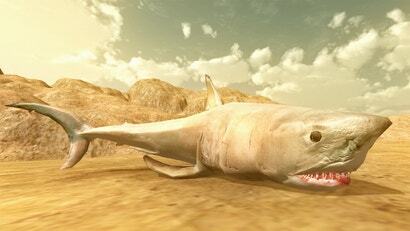 Like their real life counterparts, they fight with their teeth and jaws. YouTubers have been putting these qualities to the test through epic, ultra-violent shark battles. T-rexes with lasers and shotguns. 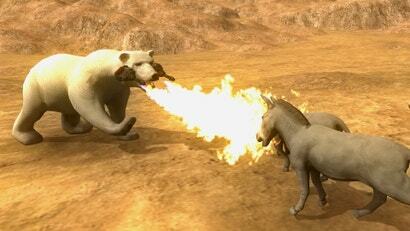 Polar bears with flamethrowers. Some might laugh at these outrageous possibilities, decrying them as "unrealistic." But in Beast Battle Simulator, these wild dreams are a reality.